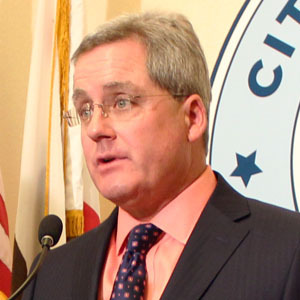 SAN FRANCISCO (Nov. 27, 2018) — City Attorney Dennis Herrera announced today he had filed a civil lawsuit against two former Department of Public Health employees, a prominent cybersecurity firm, and the husband of one of those City employees over a scheme that steered a $1.2 million public contract to the firm in violation of state conflict of interest laws that prohibit government employees from using their position for personal gain. According to the lawsuit filed today in San Francisco Superior Court, Heather Zalatimo, a then-information technology systems engineer at the health department, steered the $1.2 million contract for cybersecurity software and services to Fidelis Cybersecurity, Inc., where her husband, Maarek Zalatimo, was the regional sales manager for Northern California. Maarek Zalatimo’s pay package included a base salary plus commissions based on sales. As a married couple, Heather Zalatimo had a financial interest in the purchase of Fidelis’ products. Maarek Zalatimo, also known as Mark Zalatimo, stood to receive a commission of about $65,000 from this contract, although the actual amount he gained will be determined in the litigation. Besides Fidelis and the Zalatimos, the lawsuit names former Department of Public Health IT Chief Operating Officer Jeff Jorgenson for aiding and abetting in the scheme. Jorgenson was Heather Zalatimo’s supervisor and knew her husband worked for Fidelis, yet he assisted her in the contract, including signing the purchase order. A City Attorney’s Office investigation found that beginning at least in December 2015, Maarek Zalatimo and other Fidelis employees began communicating with Heather Zalatimo in her official capacity as a DPH employee about Fidelis products. That included Maarek Zalatimo directing other Fidelis employees to provide his wife with product information. Throughout March and April 2016, Heather Zalatimo coordinated a test of Fidelis products for the health department, then recommended Fidelis’ products to address perceived security gaps at the department. In July 2016, Heather Zalatimo obtained a quote for $1.2 million of Fidelis’ products, which Jorgenson approved and signed the next month. The city paid the $1.2 million in October 2016. The lawsuit filed today alleges violations of state and local conflict of interest laws for government employees, violations of the state Political Reform Act, and violations of the state law that protects the public from unlawful, unfair, and fraudulent business practices. The lawsuit seeks to have Fidelis return to the City the full $1.2 million for the unlawfully obtained contract. It also seeks civil penalties against Heather Zalatimo for an amount three times the value of the economic benefit she unlawfully received, and additional penalties ranging from $2,500 to $5,000 per violation for each relevant defendant, including Maarek Zalatimo and Jorgenson. The case is: City and County of San Francisco, et al. v. Fidelis Cybersecurity, Inc., et al., San Francisco Superior Court Case No. CGC-18-571572, filed Nov. 27, 2018. Additional documentation from the case is available on the City Attorney’s website at: www.sfcityattorney.org.